This Belleek box was introduced in 2015. 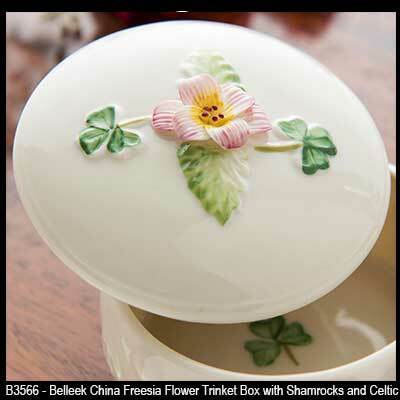 This Belleek box features a freesia flower along with a hand painted shamrock and Trinity knot. 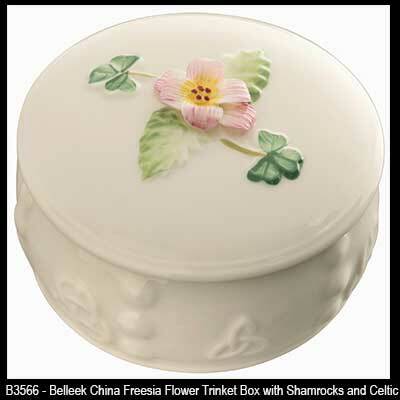 The Belleek freesia flower box is made of fine china and measures 3" wide x 2" tall. 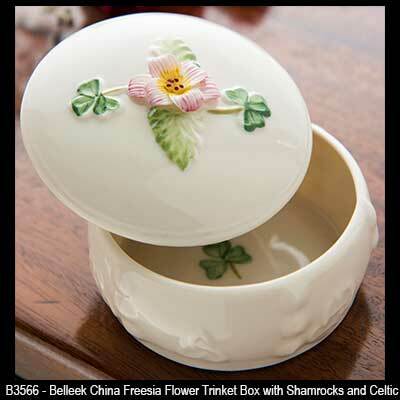 The Belleek China box is suitable for trinkets and jewelry. This Irish trinket box is hand crafted in Belleek, Ireland and is gift boxed with Celtic knot and shamrock history cards, complements of The Irish Gift House.